The current way we are feeding the world is not sustainable. There over 7 billion people (9.7 billion by 2050) to feed in the world today. There has to be a change in how we will successfully accomplish feeding healthy foods to that amount. Did you know that 50% of grain grown worldwide is consumed by livestock which is enough food to feed 10 billion people. This week I want to share a few links to how this can be done and create a healthier population and planet. The first is to watch "Cowspiracy, The Sustainability Secret." On the latest Rich Roll podcast: Bruce Friedrich on "Innovating the Future of Food". A great article by Dr. Joel Kahn: "Everything You Need To Know To Start A Plant-based Diet". 1 diced red, green or yellow bell pepper. 15 oz. can Trader Joe's Organic Black Beans. 16 oz. bag Trader Joe's Organic Corn. 8 oz. cubed Trader Joe's Organic 3-Grain Tempeh. Spices: Cumin, Smoked Paprika, Chipotle, Sea Salt and Black pepper. Prepared Quinoa or Brown Rice. Saute onions in small amount of coconut oil or water. Add in bell peppers and spices to taste. 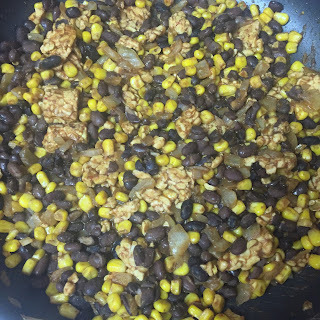 Add cubed tempeh, getting good coverage with spices. Let cook/marinate for 5-10 minutes, stirring until tempeh is warmed. Let cook for 10-15 minutes on medium heat. Serve on a bed of quinoa or brown rice. 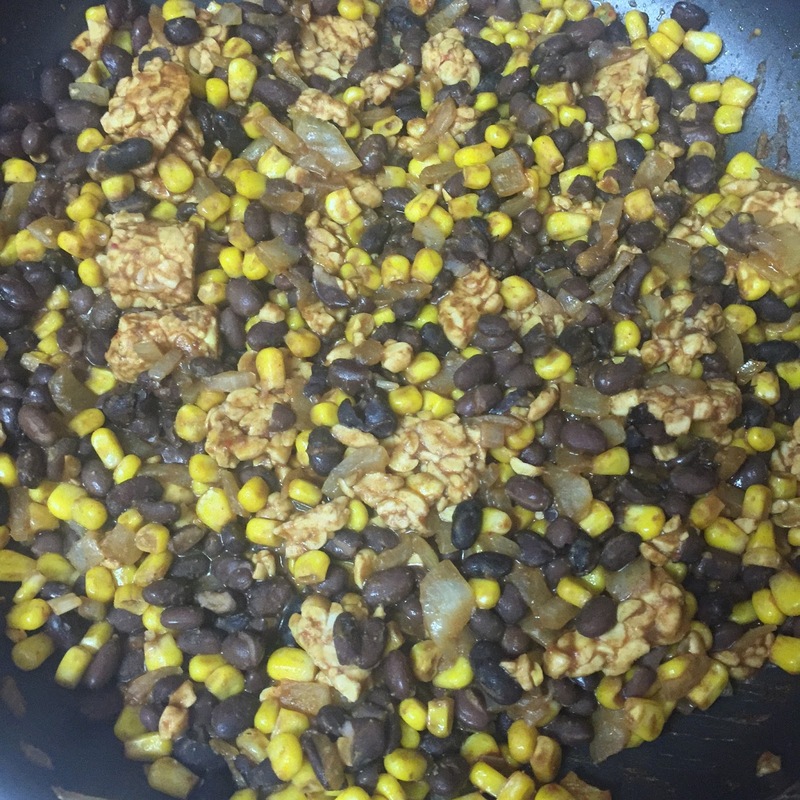 This a spicy meatless high protein, high fiber and nutritious meal!